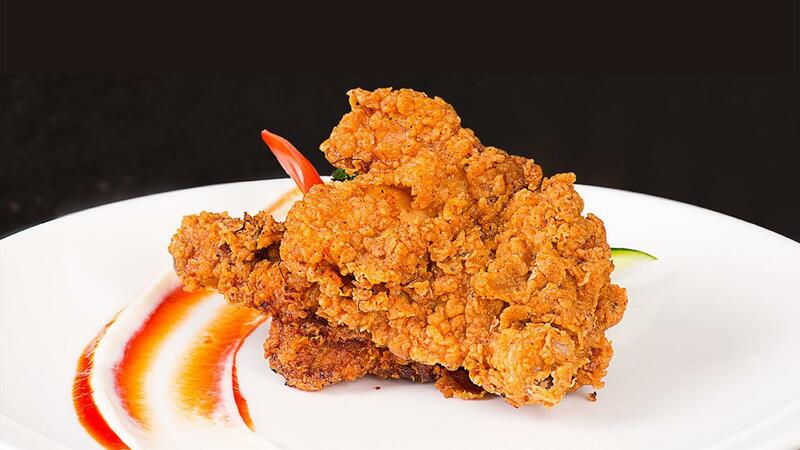 Great tasting fried chicken must have two key elements: One – a very flaky and crispy crust. Two – flavorful and juicy chicken inside. This recipe has both. A fantastic addition on any Ramadan menu. Mix together all the spices and herbs with the milk and yogurt. Marinade the chicken for 2 hours or even more if you prefer. Mix 80g (5 Tbsp) Knorr Coating Base (Seasoning for flour) in 1 Kg all-purpose flour. Sieve the flour mixture twice. Heat oil in fryer to 170°C. Coat marinated chicken in dry flour mix and then dip into egg wash for 10 seconds. Coat the fish again in the dry flour mix. Adjust Knorr Spice Marinade as desired.